“In September 2015, world leaders gathered at the United Nations endorsed the 17 Sustainable Development Goals (SDGs) as a road map to more inclusive growth and development that respects the limits of nature. In this Staff Discussion Note we focus on investment in human, social, and physical capital, which are at the core of sustainable and inclusive growth and represent an important share of national budgets—specifically, education, health, roads, electricity, and water and sanitation. The goal of this paper is to estimate the additional annual spending required for meaningful progress on the SDGs in these areas. Our estimates refer to additional spending in 2030, relative to a baseline of current spending to GDP in these sectors. Toward this end, we apply an innovative costing methodology to a sample of 155 countries: 49 low-income developing countries, 72 emerging market economies, and 34 advanced economies. And we refine the analysis with five country studies: Benin, Guatemala, Indonesia, Rwanda, and Vietnam. Our main finding is that delivering on the SDG agenda will require additional spending in 2030 of US$0.5 trillion for low-income developing countries and US$2.1 trillion for emerging market economies. There is a sharp contrast between the two groups. For emerging market economies, the average additional spending required represents about 4 percentage points of GDP. This is a considerable challenge, but in most cases these economies can rely on their own resources to achieve these SDGs. How it can be done is illustrated by the country study for Indonesia. 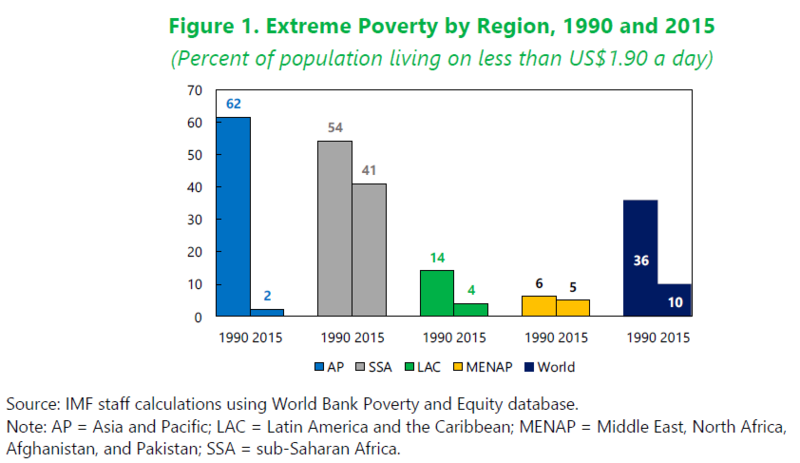 The challenge is much greater for low-income developing countries. Here, the average additional spending represents 15 percentage points of GDP. Some countries in this group—such as Vietnam—have additional spending needs similar to those of Indonesia and other emerging market economies. But others, including Rwanda and Benin, will require additional spending of more than 15 percentage points of GDP in 2030. Countries themselves own the responsibility for achieving the SDGs, especially through reforms to foster sustainable and inclusive growth that will in turn generate the tax revenue needed. Efforts should focus on strengthening macroeconomic management, combating corruption and improving governance, strengthening transparency and accountability, and fostering enabling business environments. Raising more domestic revenue is an essential component of this strategy. Increasing the tax-to-GDP ratio by 5 percentage points of GDP in the next decade is an ambitious but reasonable target in many countries. Addressing spending inefficiencies is also critical—countries need to spend not only more, but better. We estimate that countries could save about as much through efficiency efforts as through tax reforms.